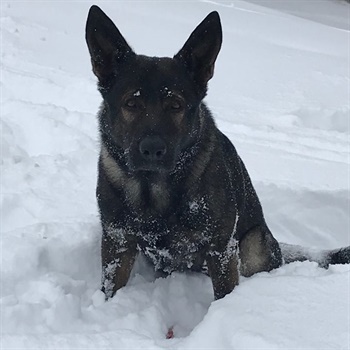 Deputy John Forlenza and his K-9 partner Dax of the Lake County (IL) Sheriff's Office on Sunday morning located an unidentified 32-year-old woman in mental distress. The woman had left a home on foot into the cold rain and fog at around 0230 hours. A 911 caller had reported that the woman had threatened to harm herself, according to the Chicago Daily Herald. An hour or so after the search began, Dax located her. She was transported to a nearby hospital for evaluation.